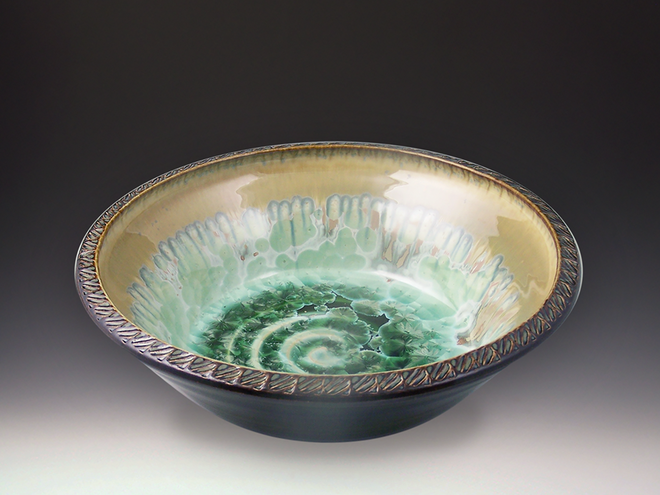 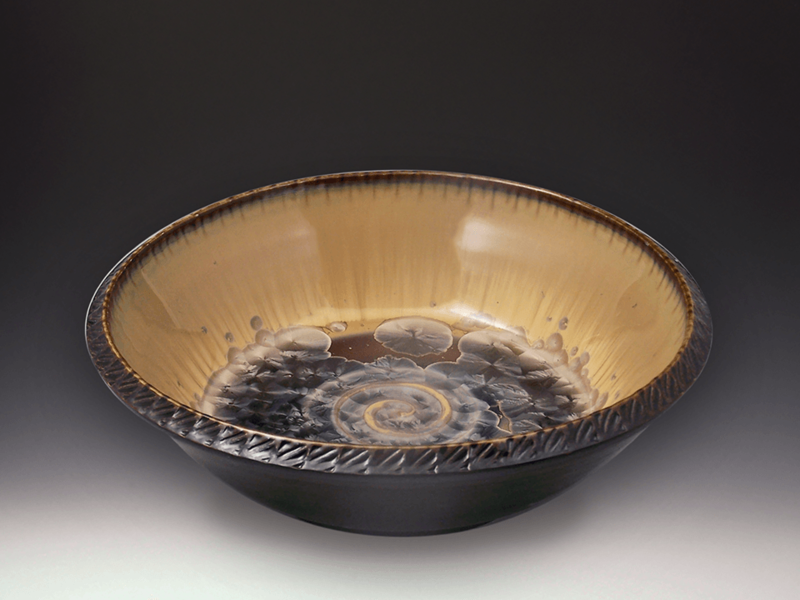 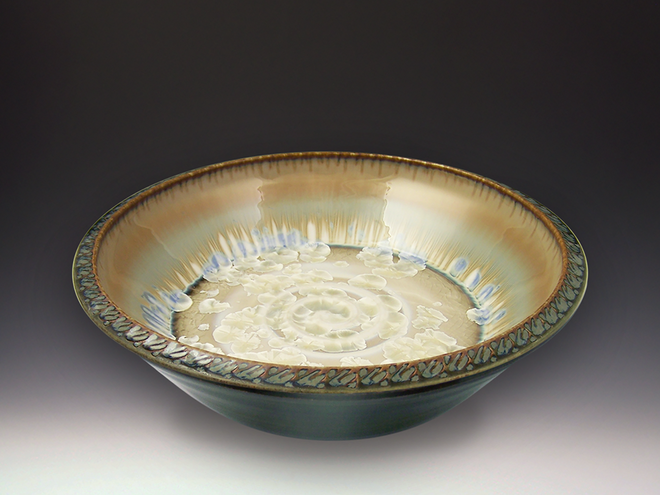 Hand thrown high fire porcelain textured rim platter with crystalline glaze. Our bowls are completely food ware and dishwasher safe. 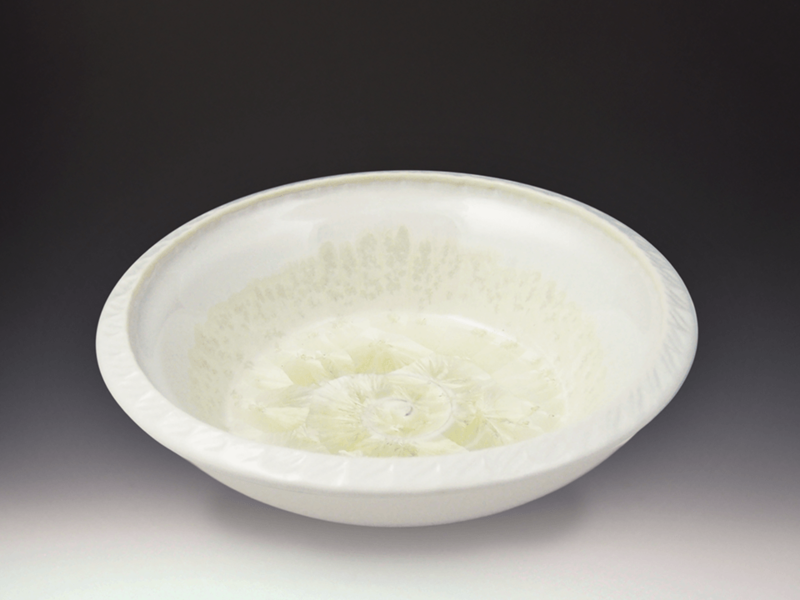 Wow your guests at the next dinner party with an Indikoi bowl serving piece! 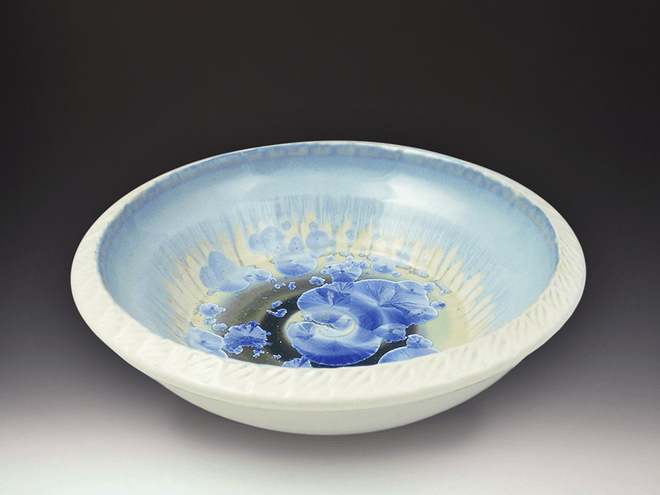 So many uses in the kitchen or a beautiful piece of art for anywhere in your home. 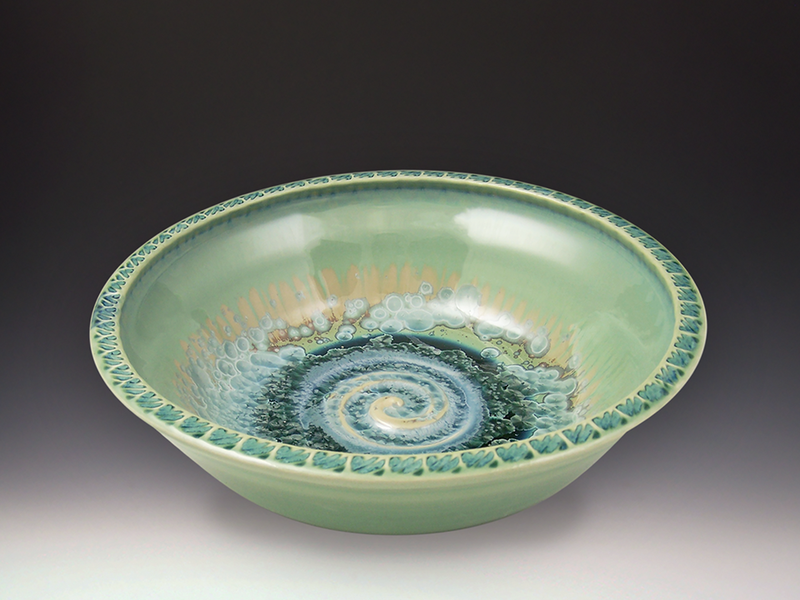 Approximately 12" diameter, 3" height All our bowls are handmade so please expect variations in size and glaze.